Apple has released their latest mobile firmware update, iOS 11.4 for compatible iPhone, iPad & iPod. 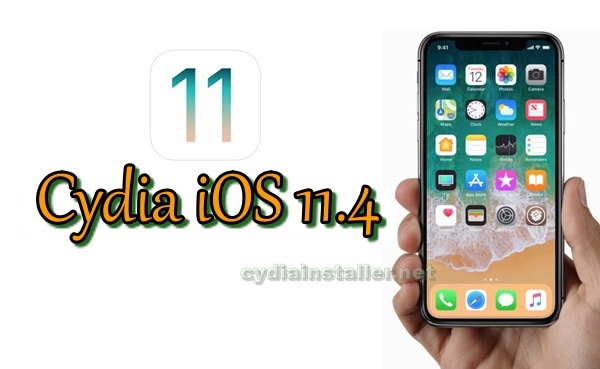 Peoples are finding iOS 11.4 jailbreak download link to get Cydia for their iOS 11.4 running devices. Actually, is Cydia download possible with latest iOS 11.4 update? Here’s the current status of latest iOS jailbreak. 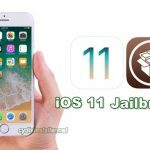 Can jailbreak & install Cydia for iOS 11.4 running devices? Currently, you can not Cydia download for iOS 11.4 running iPhone, iPad or iPod and No fully working jailbreak for iOS 11.4 available. But, you will have to get some jailbreak experience and customize the device on iOS 11.4 without Cydia. Houdini, semi-jailbreak adding support for Apples’ latest firmware, iOS 11.4 running devices now. 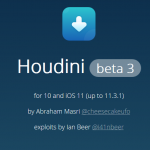 iOS hacker, Abraham Masri has developed Houdini semi-jailbreak tool and currently available to download for iOS 10 – 10.3.2 and iOS 11 – 11.1.2 running devices. But, the new version of Houdini (beta 3) will be supported up to iOS 11.4 latest version. Abraham Masri has demonstrated the some cool features of Houdini semi-jailbreak on an iOS 11.4 running device in a video and the latest version will be released to public soon. At this moment, public users are not allowed to Cydia download for iOS 11.2 and later version running iPhone, iPad or iPod devices. Coolstar’s Electra jailbreak is the one and only real jailbreak tool that can install working Cydia on iOS 11. If you are still on iOS 11 – 11.1.2, then you can get Cydia for your device with Electra tool. Here’s the tutorial guide for how to install Cydia with Electra jailbreak for iOS 11 – 11.1.2 iPhone, iPad, iPod. But, if you are on iOS 11.2 – 11.4, please wait Coolstar will update Electra jailbreak to support latest iOS 11 versions. He has already mentioned about iOS 11.2.6 jailbreak and advice iOS 11.2 – 11.2.6 users to stay on current firmware version. In addition, we have seen several iOS 11.3 / 11.3.1 jailbreak demonstrations in action and you can find more details with following links. Can customize your iPhone, iPad or iPod with latest iOS version without Cydia and jailbreak ? Yes, you can install some of your favorites Cydia apps without jailbreak on iOS 11.4 – iOS 11 firmware. There are some great online installer / 3rd-party app store such as vShare, TutuApp or 3uTools that you can download & install your device without any problem. Coolstar has announced about his plan to release iOS 11.3.1 jailbreak. This will support all 64-bit iOS devices including iPhone X. 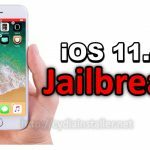 He has advised jailbreakers on iOS 11 – iOS 11.1.2 to save their iOS 11.3.1 blobs and others restore to 11.3.1. So, it is good idea that you downgrade to iOS 11.3.1 quickly as possible if you are on iOS 11.4 and willing to get Cydia. Would you interest to get Cydia on your iPhone / iPad ? Just restore your device to iOS 11.3.1 firmware and waiting for next jailbreak update from Coolstar. Because, iOS 11.4 jailbreak will not be released soon as Apple has patched most of the exploits in iOS 11.4 latest firmware. Electra jailbreak for iOS 11.2 – 11.3.1 with Cydia released!